I have two under five. I’ve survived one toddler and have just a few months until my second bout of toddler-motherhood expires. It’s a trip; it’s a pain; it’s outrageous; it’s a blast. I love my toddlers, and I love to watch them learn, explore and grow at such an outrageous pace. Unfortunately, it didn’t take much to learn that when you’re watching a toddler you can’t do much else, especially something that requires more than your peripheral vision or a fully processed thought, like writing, for example. Toddlers are a delicious mixture of dirty hands, sweet smelling hair, cuddles, snuggles and runny noses. Their natural state is wild usually in a fit of discovery. They want to know and learn about everything they see, smell or question, and this is exactly what they should be doing to grow and develop. Unfortunately for parents, that means you’re doing just as much discovery and exploring as they are, and not much else. I’ve trailed behind a toddler holding onto the precious collections of leaves, trains, rocks and even bugs (yes, I’m that mom), but he rarely is willing to trail behind me while I talk on the phone or work on a blog post. Toddlers are a selfish breed, it seems. Many moms try to get around the selfish nature of toddlers by finding balance in the day. They invest in a laptop with the expectation of working quietly on the couch while the toddler plays. I’ll admit I even bought into the dream – I have a fabulous pink laptop. But, as the mother of two active boys, I can tell you that having five working computers in one house (yes, five) isn’t enough to get anything done when the boys are fully functioning. For one, they are convinced that computers are synonymous with an opportunity to play on Playhouse Disney, and two - I get gut-wrenching pleas to play trains or build towers for joyfully destruction which pull at my already overwhelmingly guilty heartstrings, so I gave up. I don’t write with the boys around; it’s just too stressful. I obviously didn’t give up the writing career and didn’t scale back just because I choose not to write while the boys are around – and they are always around when I’m home. With toddlers around, you just have to get creative and use your time wisely. Save the big writing projects and things that require all or most of your brain cells for when the little ones are asleep. Toddlers should be getting roughly twelve to fourteen hours of sleep a day, so if you’re putting your little one to bed at the appropriate time, seven to eight o’clock in the evening, you should have anywhere from three to five hours of solid writing time in the evenings and still get something resembling a full night of sleep. There is also the option of crashing with them at eight and getting up at four or five in the morning to get some solid hours in. In my house that would just mean we all are up at four, but it works well for a close friend of mine. Of course on this sort of schedule, you’re not going to be watching much television or spending time playing with friends on Facebook, but freelancing with toddlers requires sacrifices. No free time is just part of the deal. Quiet time is reading time. If you have the same of tradition around your house as I do in mine, the day ends with about thirty or forty-five minutes of kicking back on the couch, piled up together with some milk and a bit of Noggin or Disney to help us wind down while we wait for Daddy. I’ve been known to use that time to pull over the laptop and browse through forums making little posts for marketing purposes or reading through blogs I’ve been meaning to catch up on. Writing a meaningful sentence or two in a forum thread can build your brand and reputation with very little effort. Since everyone is together having some snuggle time, you’re still doing what you feel is right as a parent, too. Remember to use this is small doses, however, as the little ones don’t need much television during the day – no electronic babysitting and all that. Play time is play time. Trying to mix your various duties is absolutely stressful. If you feel pulled in ten different ways during the day, compartmentalize. Make play time your most meaningful time with your kids. Work can wait until the evening hours, and you can give your kid what all of you need during the day easily without stressing over an article or two. Years of experience have taught me that giving my undivided attention to the boys as much as possible during our time together settles the nagging voices inside my head about doing too much, and I’m still able to run a very successful writing practice after their day ends. Use your phone for email. Yes it can get pricey, but my life was transformed when I got email on my phone. The hubby and I have matching iPhones and I’m not sure I can live without mine now. Of course, there are other phones that are wonderful, so invest in one you love. Once you have email on your phone, you can check your messages at red lights, while you wait in line at the grocery store and in the five minutes of snack time when the little ones are occupied. The phone can travel with you throughout the house more easily than a laptop so you can stay available during the day even if you don’t touch a “real” project until nine o’clock that night. I also use my phone to keep my calendar synched. I prefer Google Calendar and use Gmail to consolidate email accounts. With my Google calendar, I can schedule everything from playdates and birthday parties to my individual work assignments for the night. I love that it lets me schedule repeating events as I do so many weekly and monthly projects. The calendar is instantly updated on my phone when I update it on any of my five home computers or my computer at school. When a date to remember or a deadline comes across my virtual desk, I get it in the calendar immediately. Having the calendar in your face all the time lets you book a reasonable amount of work each day and lets you skip the few valuable minutes you might otherwise spend trying to figure out what you’re working on that evening. The dear hubby around these parts isn’t home until close to 7 every weeknight, so he’s not much help work-wise during the week. However on the weekends, he takes the boys to run errands and plays with them for hours on end. If you have a similar circumstance or a relative who would enjoy playing with your toddler for a few hours, use that time for work. Sure, it’s a pain to take a toddler to the grocery store, but use your free time to earn that grocery money instead of shopping solo, and you’ll be better off in the long run. I recently wrote a post on my personal blog ) about my respect for WAHMs. I don’t know how y’all do it! I had a very brief introduction when my 17-month-old grandniece visited for Christmas. She is absolutely adorable but also a huge bundle of energy. I salute you all! Thank you for sharing! It sounds very similar to my life – with a very active 5 year old and a very active 21 month old. I was getting too stressed trying to balance it all – staying at home, helping my husband’s business, and freelance writing and editing. My “extra” work was meant to be fun, relaxing, and just some extra spending money. Instead it was starting to stress me too much and take me away from my boys and family too many evenings and weekends. I’ve scaled back for the meantime… I explained to my clients why I was scaling back. All of them were supportive and told me to call them when I’m ready to get back into it. For now, my family (and 1 client I kept) are my priority! I do agree with asking for help. I have used a high school student for after school and during breaks to help with the boys. I’m hoping to continue that even though I’m not working as much. Us moms need a break! Yep! I can agree with everything you’ve said here. Once, sometimes twice a week, I have relative watch my 22-month old for a few hours while I go to the library and get some work done. On the other days, I get a little work done during nap time and the bulk of the writing is done at night. Freelancing with a toddler is definitely a challenge, but she was just what I needed to finally decide to freelance full-time. This is very good, from what I can tell. I am the oldest of seven, homeschooled, and a freelancing web developer. Hard. But doable. These suggestions are right up our day-to-day alley. I’ve been checking out RealMom.net and your articles here at All Freelance Writing and I’m really excited. My fiance and I are trying to get pregnant and I will be launching a new freelance writing business. Honestly, I’m good with business but without Jenn I couldn’t “crack the code” to freelance writing success. I think I know what I need and will have enough stability in my life to run a successful freelance writing business. Your articles are helping me out so much! 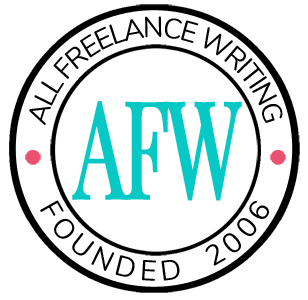 Will you talk more about freelancing while pregnant in upcoming AFW posts (if Jenn’s cool with it)? Either way, looking forward to what you have to say. Latoya – How did I not know you’re a mommy? Congrats! Jessie – Absolutely, I can cover freelancing and pregnancy. I’ll make it a point to cover it in a couple of weeks when I post again on the blog. I’ll be working on realmom.net as well over the next month or two to revamp and get that site up to date with more daily or at least weekly tidbits about real mommy freelancers. 🙂 Thanks for the following! Rebecca — Don’t feel bad. I had no idea LaToya was a mom either. So another congrats (no matter how belated it might be)!